Annie and Rachel are both nominated for Big Brother 12’s first eviction episode, which airs Thursday night on CBS. 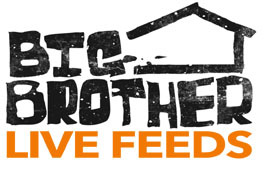 After being evicted, WeLoveBigBrother.com will be interviewing the evictee and we will be asking YOUR questions. Please scroll down to “Leave a Comment” and we might just ask YOUR questions when we interview the evictee tomorrow via email. Check back Friday to see if your question was asked to either Rachel or Annie. Or if you follow us on Twitter, send your questions to @wlbb!